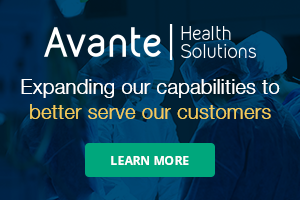 The recent webinar “How Low Quality Remanufactured Parts Inside Medical Devices Increase Total Cost Of Ownership” sponsored by Summit Imaging provided an opportunity for attendees to earn 1 CE credit from the ACI. It also delivered helpful information regarding the detection of poor quality ultrasound transducers. 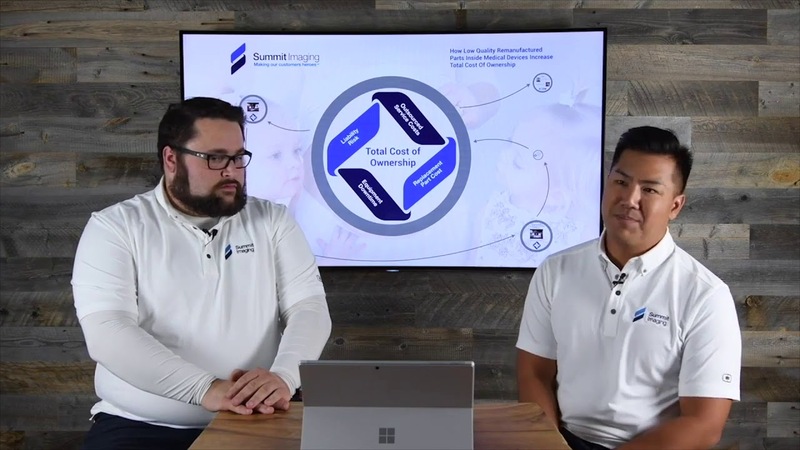 This 60-minute webinar featured Larry Nguyen, CEO and CTO at Summit Imaging, and Summit Imaging Manager of Global Education and Training Kyle Grozelle. The webinar drew 175 attendees for the live presentation and more have watched a recording of the session online at WebinarWednesday.Live. During the presentation, health care facility professionals learned how to protect themselves from counterfeit ultrasound transducers that pose a risk to patient safety and can lower a facility’s quality of care. Ultrasound transducers are one of the most common imaging devices found in health care institutions and their integrity is critical to providing excellent patient care. The Summit Imaging duo explained how the health care industry is being deceived, as invalidated ultrasound remanufactured components are being hidden inside transducers under the illusion of “repair.” These compromised transducers are exposing health care facilities to severe increases in total cost of ownership and unnecessary liabilities, all while hiding in OEM marked bodies. Attendees appreciated the educational aspect of the webinar and gave positive reviews in a post-webinar survey. “The quality of the presentation put on by Larry Nguyen and Kyle Grozelle of Summit imaging was superb. The audio and video were spot on. The presentation was well prepared and easy to understand. The easy access to this education as well as the credits we can earn toward keeping our certifications by watching/listening to these online learning courses/presentations is just fantastic,” said B. Judah, biomedical technician. “Webinar Wednesdays are a wonderful educational break in the day,” said Lead Biomedical Technician K. Miller. “Webinar Wednesdays consistently present up–to-date and relevant information to people in the HTM field, both managers and technicians alike,” shared N. Scholze, BMET training program/instructor. “This webinar was fantastic in helping determine the problems with short-term fixes versus quality. I was not aware of how some of the parts were hidden inside components. The poor quality and parts that were not vetted can be a high risk when it comes to patient care as well. I was very interested in all the information presented and look forward to any contact with Summit Imaging,” said H. Martin, clinical engineer. “This was an excellent webinar. The presenters did a great job, and I am motivated to call on Summit Imaging in the future as needed,” said R. Resnicoff, senior clinical engineering technician. For more information about Webinar Wednesday, including a schedule of upcoming sessions and recordings of previous presentations, visit Webinar Wednesday. Live.